A quick trip to the market for a box of breakfast cereal provided me with a lesson in too many choices. 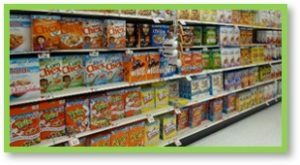 I went in looking for a healthy, low sugar and carb option and found myself staring at an entire aisle of cereal boxes. Ten minutes later, unable to make a decision, I bought Oatmeal. I’m sure the box of cereal I wanted was in there somewhere, but I had neither the time nor interest in reading all those labels until the right one revealed itself. I ran out of decision bandwidth and went with the choice I knew. The paradox of choices—an entire aisle of cereal—mentally exhausted me; preventing me from making any decision. My mom had a sign in her kitchen that read, “Tonight’s dinner choices: take or it leave it.” It doesn’t get any easier. She believed in choice. She always made two vegetables and we could choose a hot or cold breakfast before school. The sixties was a simpler time when it came to making choices because there were fewer options. Then I discovered Baskin-Robins ice cream. Growing up in Europe offered delicious ice cream and gelato options, all within the realm of recognized flavors. A 1960s visit to the United States changed that when I was introduced to the 31 choices (now over 1300) offered by Baskin-Robbins. Cotton Candy, Bubble Gum and Strawberry Cheesecake sung a siren song of decadence that lured me away from my favorite mainstream flavors. I never felt paralyzed by those choices because choosing flavors was simple and fun. A bad decision meant only that I did not like the taste, and held the promise of a return visit. There were no unexpected consequences because I could sample the flavor before I purchased it. Adult choices are more complex than ice cream flavors, yet just as numerous when it comes to making an informed decision. The mind can only sort through so many options before it begins to lose focus and data begins to blur. As options increase, the investment of time and effort involved in making a wise choice also increases. Too many choices increase the possibility of making an impulsive or even a bad one. Sometimes it’s easier to buy oatmeal. Decision fatigue refers to our ability to make good decisions after an extended session of decision-making. No matter how rational or sensible we may be, it is not possible to make back-to-back decisions without a mental and sometimes financial cost. Unlike noticeable physical fatigue, decision fatigue often strikes without our knowing. It happens because we are tired, burned out, or apathetic. We stop caring. Stanford Professor Jonathan Levav explains it this way: “Decision fatigue is why ordinarily sensible people can’t resist the dealer’s offer to rustproof their new car.” It reflects the fact that the more decisions you have to make, the less capable you are of weighing all the options and making sound, data-supported choices. The key to avoiding decision fatigue is learning to manage and pace yourself when making big decisions. When we’ve exhausted all our good decision-making skills we can invoke the not to decide is to decide mantra and save them for another day. We confronted decision fatigue when we moved. The pressure to find new health care providers, home and auto insurance, and furnish a house overwhelmed us. There were simply too many choices, so we divided the tasks into priorities and tackled them one at a time over a period of months. Educating ourselves on the options was an investment necessary to make good choices. Choice comes first, directing us to effective decision-making. When we make a choice, we are stating our intention from known values and principles, a selection of options already familiar to us. A decision is more about direction than selection. Choices connect to reasons and decisions connect to causes and beliefs. Internal and external factors, such as finances, personal bias, culture, education, goals and life circumstances influence most decisions. When you consider these data points you weigh them all and reach an informed decision. More is not always better. 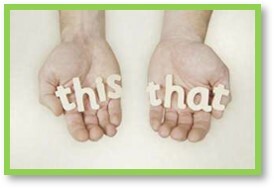 In fact, I often think more is harder – harder to compartmentalize, understand, and differentiate. More means it’s harder to make a decision. I’m not willing to return to the Henry Ford idea of having any color car you wanted as long as you want black, but now we have no fewer than 20 shades of black when we chose that option. Research shows that with an abundance of options, you end up less satisfied with your final decision. Why? 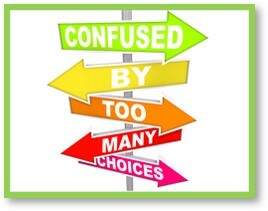 Because too many choices increase our ability to make the wrong one or paralyze us into making none at all. Sometimes you just have to get the oatmeal. This entry was posted in Lifestyle & Culture, Susanne Skinner and tagged Baskin Robbins, choice, decision fatigue, decision making, Henry Ford, too many choices by Aline Kaplan. Bookmark the permalink. And the solution is… what? Reduce freedom? Have the government come in and artificially constrict the number of choices you can make?